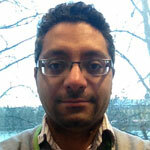 Dr Michael Absoud was appointed as consultant in children’s neurodisability at Evelina London Children’s Hospital in 2012. He has a major interest in childhood complex neurodevelopmental disorders and co-morbidities in neurogenetic and acquired neurological diseases. 2009-2012: PhD clinical research fellowship training (health and population sciences) – Institute of Child Health, Birmingham Children’s Hospital, University of Birmingham.